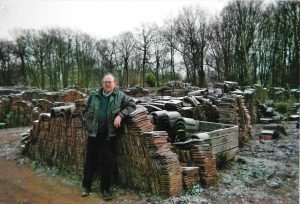 This website is to introduce ourselves to you as suppliers of reclaimed building materials, often required for older or listed buildings where accurate matching is particularly important on extensions and repairs but sometimes difficult to achieve. 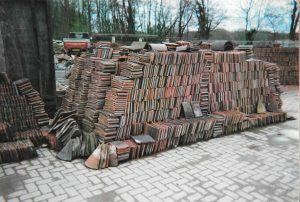 We are an established Sussex firm, and pride ourselves on holding a comprehensive stock of good quality reclaimed tiles, bricks and slates etc. We offer a fast, efficient and reliable service, with free delivery on large quantities. If you feel we could be of assistance, our representative would be very pleased to call, with samples, and discuss your requirements. We hope that we might hear from you in the near future and give your enquiry our prompt attention. We live at the yard so there is no problem to serve you outside of these opening hours.